A bad bit of Nvidia news concerning its guidance has NVDA stock falling hard on Monday. 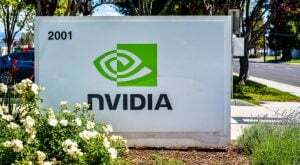 The update has Nvidia (NASDAQ:NVDA) providing a new guidance for its fiscal fourth quarter of 2019. According to the company, it is now expecting revenue for the quarter to be $2.20 billion, plus or minus 2%. First off, that’s a major drop from the company’s previous revenue guidance for its fiscal fourth quarter of 2019. That previous outlook had revenue for the period coming in at $2.70 billion, plus or minus 2%. Secondly, we have to talk about how this new guidance for Nvidia’s fiscal fourth quarter of 2019 stacks up against Wall Street estimates. Big surprise, but it doesn’t. Analysts are expecting the manufacturer of graphics cards to report revenue of $2.70 billion for the quarter. The Nvidia news update claims that the drop in its revenue guidance is due to “weaker than forecasted sales of its Gaming and Datacenter platforms.” This includes sales of gaming GPUs not doing as well as expected. It also has to do with Datacenter deals it had set for the quarter not closing due to consumer concerns. NVDA stock was down 14% as of Monday afternoon, but is up 17% since the start of the year. Article printed from InvestorPlace Media, https://investorplace.com/2019/01/nvidia-news-on-guidance-hits-nvda-stock/.